The legendary astronaut has a helpful friend in VR. Space travel may have been at its buzziest in the late 1960s, when Buzz Aldrin—right behind colleague Neil Armstrong—became the second person to walk on the moon. Yet intergalactic topics seem to be making a notable comeback thanks in part to a few tech-minded developments, specifically NASA’s social media game and Aldrin’s leveraging of virtual reality. 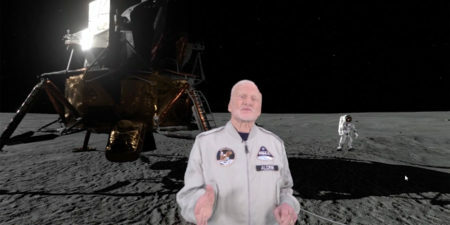 This is Aldrin in the VR film, detailing how much resourceful ice exists on the moon. “I’ve always been interested in the future, and virtual reality let’s me bring my vision to life in a way that can inspire future generations,” Aldrin said via email. Indeed, he aims to create a historical document that students of space travel can interact with 50 or 100 years ahead, giving them a virtual connection to one of the key figures of the Mars movement. 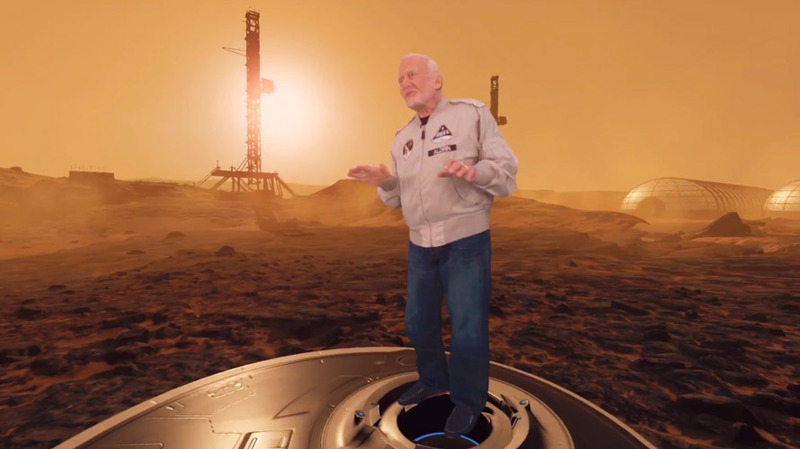 Adweek got a sneak-peek demonstration of the VR film Aldrin created with experiential agency 8i, a New Zealand-based outfit that’s drawn $41 million in funding from the likes of Time Warner, Verizon and Chinese digital giant Baidu. The video “puts” its viewers into outer space with planets zooming by, drops them on the surface of the moon and descends them onto a butte-like Mars. On Mars, viewers can see depictions of pod-looking homes—think 22nd century sod houses made of metals instead of mud—that Aldrin and other astrophysicists imagine the first “New Martian” settlers will live in. Aldrin himself appears as a hologram while professorially narrating the action around him (and you). That’s not the only untapped potential distribution channel Gasking brought up. “We’d love to see [VR headsets and content] at the Smithsonian, the Natural History Museum, all the observatories in the world,” he said. NASA is also at SXSW, riding a new wave of relevance that’s got a tech flavor. (To be clear, NASA and Aldrin are not officially partnered and operate separately.) The space agency has built up its social media presence to the tune of roughly 20 million followers on each of the world’s most popular social platforms including Facebook, Instagram and Twitter. 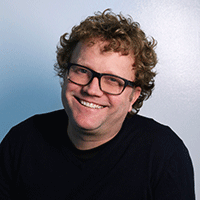 It employs four full-time social media staffers.